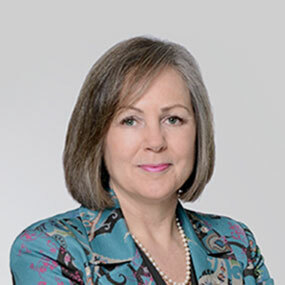 SNC-Lavalin (TSX:SNC) is pleased to announce the appointment of Benita M. Warmbold to its Board of Directors, effective immediately. Ms. Warmbold brings more than 30 years of finance experience. She is Senior Managing Director and Chief Financial Officer at Canada Pension Plan Investment Board (CPPIB), the professional investment organization that manages the $300 billion CPP Fund. She is responsible for the finance and legal functions, including corporate and investment finance, treasury, performance, enterprise reporting, investment risk, tax, internal audit, governance, legal risk, corporate secretarial and compliance. Prior to taking on her current role, Ms. Warmbold was Senior Vice-President and Chief Operations Officer for CPPIB. In that role, she was responsible for technology, investment operations, data, investment finance, treasury, performance, reporting and investment risk. Prior to joining CPPIB, Ms. Warmbold was Managing Director and Chief Financial Officer at Northwater Capital Management Inc. She previously held senior positions with Canada Development Investment Corporation and KPMG. Ms. Warmbold holds an Honours Bachelor of Commerce degree from Queen’s University. She is a Fellow of the Institute of Chartered Accountants of Ontario, holds the ICD.D designation from the Institute of Corporate Directors, and has been recognized three times as one of “Canada’s Most Powerful Women – Top 100,” and in 2016 was inducted into the Women’s Executive Network Hall of Fame. She has also been selected by the Canadian Board Diversity Council for its first Diversity 50, which recognizes qualified, diverse candidates for board of director appointments. “On behalf of the Board of Directors, I welcome Ms. Warmbold and am looking forward to having her leadership and contribution at the Board table. Her impressive experience, specifically in the finance sector, will be a major asset for SNC-Lavalin,” stated Lawrence Stevenson, Chairman of the Board of Directors.